Gerhard H. Sukkau was born on September 29, 1903, in Terek, South Russia, where he spent his childhood years. His parents were Heinrich Sukkau and Anna Martens Sukkau. In 1910, the Sukkau family moved to Waldheim, Molotschna, where Sukkau received five years of elementary education. During World War I, when Sukkau’s father was called into service, the rest of the family moved to Rueckenau where both sets of grandparents lived. Here Sukkau finished elementary school and attended high school. In 1920, Sukkau was baptized and received into the Rueckenau Mennonite Brethren Church. In 1924, he married Lena Janzen; they had one daughter, Irma. In the same year, they immigrated to Markham, Ontario. In March 1925, they settled in Arnaud, Manitoba, where Sukkau farmed and attended Winkler Bible School. He was ordained to the ministry in 1937. In 1939, the family moved to Yarrow, British Columbia, where Sukkau taught at the Elim Bible School from 1939–1944 and later again from 1949–1952. He also was the leader of the B.C. Mennonite Brethren children’s mission for four years. Between 1945 and 1948, he attended Tabor College, obtaining a Bachelor’s degree in Arts and Theology. From 1952 to 1959, Sukkau served under the Mennonite Brethren Board of General Welfare in Bible Schools in Paraguay, Brazil, and Uruguay as teacher, evangelist, and Conference executive. In 1959, Sukkau returned to Winnipeg where he became treasurer for the executive of the Canadian Mennonite Brethren Conference. He was a committee member of Mennonite Central Committee (Canada) and of the Mennonite Brethren General Welfare Board, an associate minister in the Elmwood Mennonite Brethren Church, a Sunday School teacher, and an active worker in various church committees. Sukkau died on January 31, 1965. The Gerhard H. Sukkau fonds was donated to the Centre for Mennonite Brethren Studies in June, 1971. Additional items were donated by the family in later years. 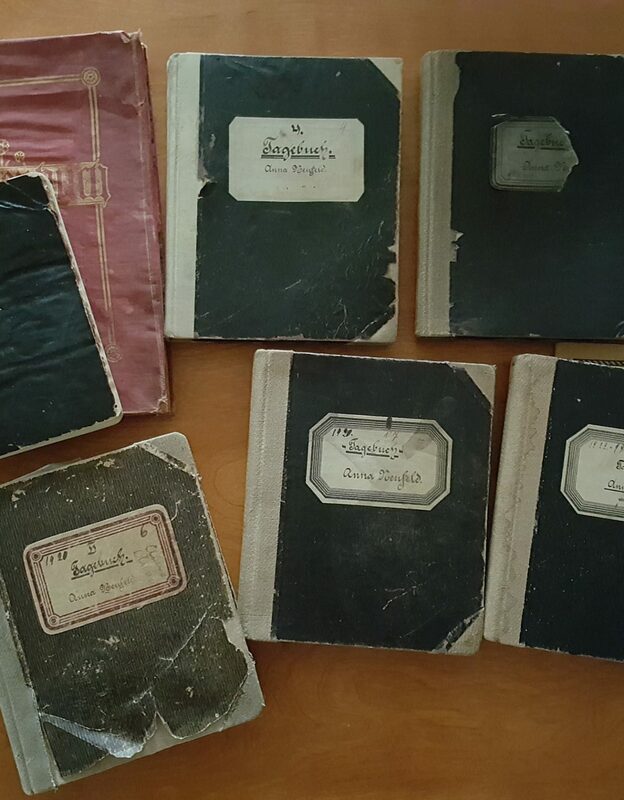 The Gerhard H. Sukkau fonds consists predominantly of notebooks of his sermons and other records pertaining to his ministry in South America. Also in the fonds are transcripts of radio messages he gave while he lived in Yarrow. The documents are primarily in the German language. The reel-to-reel tape is a “Neujahrs Ansprache” given at the Elmwood Mennonite Brethren Church in Winnipeg in 1964. Finding aid for tape: NA-19–11. Letters to G.H. Sukkau pertaining to South American ministry. -- 1952, 1962. Evangelical Teacher Training Association diploma from the Winkler Bible School. -- 1934. Bachelor of Arts diploma from Tabor College. -- 1948. Bachelor of Theology diploma from Tabor College. -- 1948. “Einleitung in das Neue Testament” by G.H. Sukkau. Written during his ministry in South America. -- 1952–1957. Sermon notebook. -- 1946, 1952, 1954. Sermon notebook. Also report on South America in notebook. -- 1955. Preaching schedule in back of notebook of South America and Manitoba. -- 1957–1961. Sermon notebook, also list of choruses and object lessons. Preaching schedule in back. -- 1952–1958. Sermon notebook. Alphabetical by subject of sermon or special occasion. -- 1955, 1956. Sermon notebook. Exegesis on Romans, exegesis on Galations, sermons on the Beatitudes, sermons on the end times. Radio messages given in Yarrow. – 1945, 1947, 1949, 1950, 1951, 1955. Poems and correspondence. -- 1962–1964. Report on ministry in South America starting in 1952. Written in German and dated 1971. -- 1971.